Kristin has more than 20 years of leadership experience in the medical insurance industry. Kristin’s previous experience includes all areas of reimbursement including prior authorization, medical necessity documentation, billing, coding, claims and accounts receivable collection. 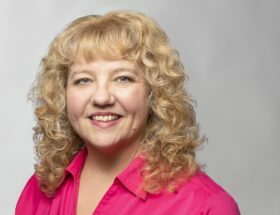 Kristin has experience with Medicare, Medicaid, managed care plans, and workers’ compensation. Kristin is part of the DKP PayerScope® market monitoring services team, conducting research, analysis, and client notification activities on policy and reimbursement for Medicare and Managed Care programs. She tracks the latest payer updates in our proprietary DKP Compass™ database as well as information regarding Medicare contacts, drug profiles and client portal setup. Kristin helps keep our clients aware of changes affecting access to their products and competitive products. She has most recently earned the title of CHONC (Certified Hematology Oncology Coder) in addition to her CPC (Certified Professional Coder). These AAPC certifications are the most recognized medical coding certifications in the healthcare industry, helping to maintain compliance and profitability through accurate coding and documentation. Kristin received her Bachelor of Arts Degree from the University of Georgia. Kristin has also earned agent’s licenses in the state of Indiana for life & health as well as property & casualty. 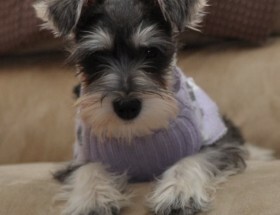 Gigi is a 6 month old miniature schnauzer. Gigi is a sweet girl whose nickname is dancer. She’s often seen dancing on her hind legs trying to get into the trash or anything that looks like it’s off limits. She loves to run fast and regularly hops instead of running. Gigi is always happy and loves to meet new people. She is very smart and treat driven; she can already do lots of tricks. Gigi really enjoys our weekly puppy training classes and is getting used to being in the car crate. Gigi loves her sister and is submissive. She gives lots of kisses and loves to cuddle. Gigi is a great dog and friend – she is a never ending source of entertainment. Meet our other dog Hilde. 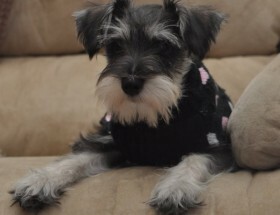 Hilde and Gigi are sisters, so she is also a 6 month old miniature schnauzer. Hilde’s nickname is “Monkey” because she is always making cute monkey chatter noises, even in her sleep. Hilde is very obedient and eager to please. She is extremely treat driven and does lots of tricks with precision and quickness. Hilde is the alpha and loves to boss her sister around. She also “tells on” her sister when she is getting into the trash or eating her mom’s iPhone. Hilde loves to cuddle and prefers our laps to her bed. She sticks to her mom like Velcro. She loves to talk while she has her hedgehog squeaky toy in her mouth which is thoroughly entertaining. Hilde is a wonderful dog and companion.